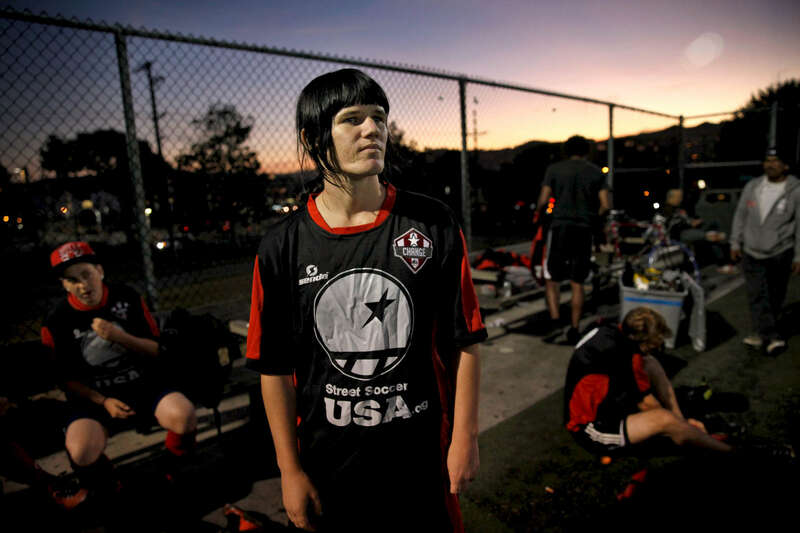 Isabella waits for a game to start in San Francisco, Calif., on Thursday, October 29, 2015. One day before she transitioned she was feeling bad about the way she looked. A friend saw her crying and called her "Bella," explaining it meant, and she was, beautiful. It stuck. "Every now and then, people catch me on the bus saying, 'Is beautiful.' And they're like, 'What's beautiful?' And I say, 'I am.'"